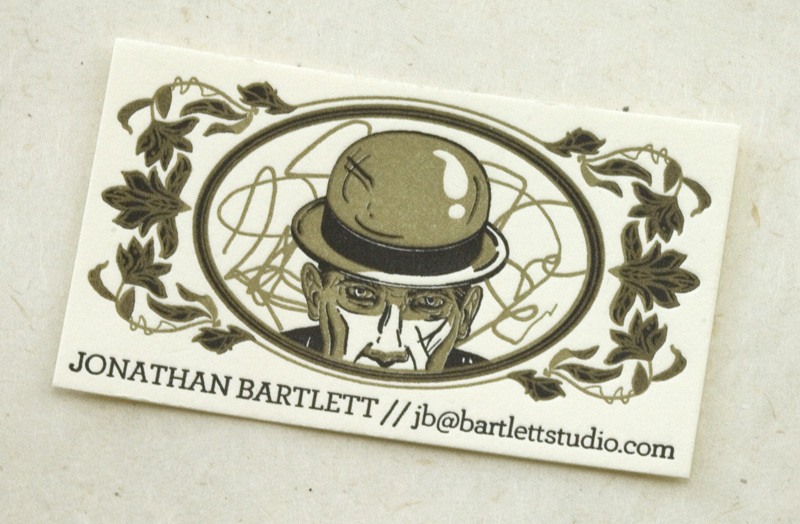 We were positively thrilled when we received the design files for this business card from friend and illustrator Jonathan Bartlett. We are big fans of his illustrations and the chance to print this illustrated beauty was such a treat. 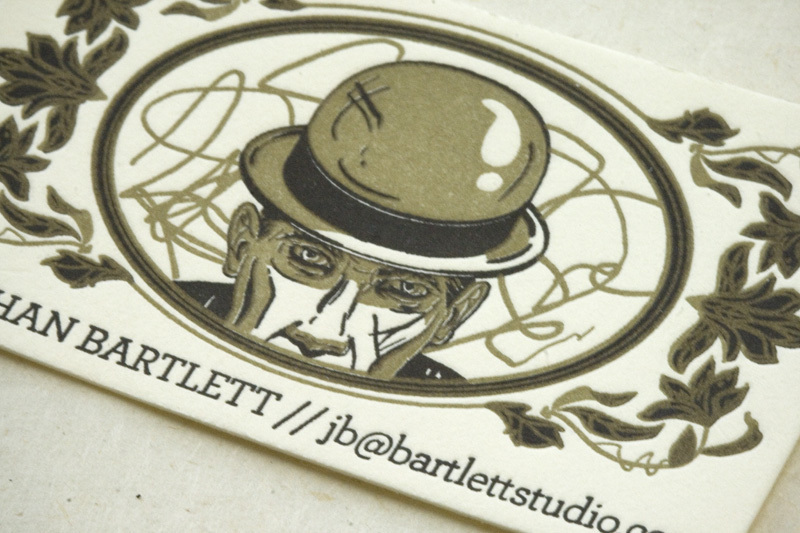 We did a bit of an overprint, taking advantage of the opacity of gold letterpress ink and printing it over the black in the vines. Registration was tight between the two colours but we can handle it and are very happy with how it turned out. 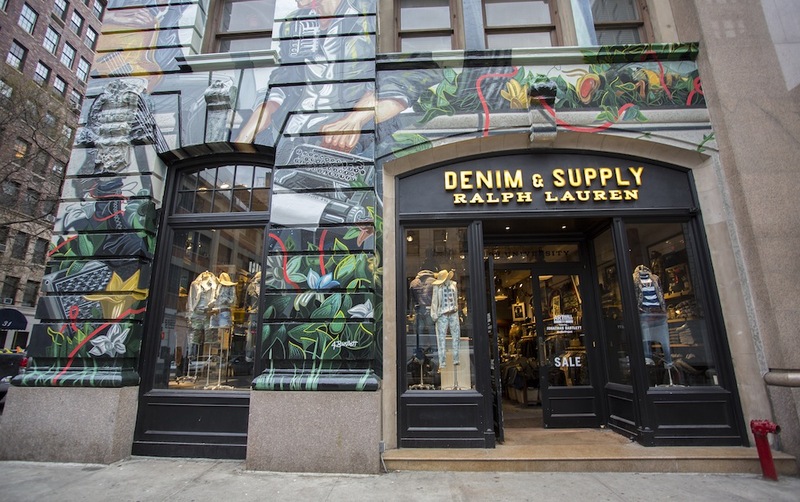 If you haven’t heard of JB yet, you will now that his beautiful illustrations are painted all over Ralph Lauren’s Supply and Demand Soho outlet in NYC. The Ralph Lauren brand is celebrating JB’s art and donating proceeds from the sales of the t-shirts he has designed to the School of Visual Arts MFA Illustration program. We love it! Read more about it here.